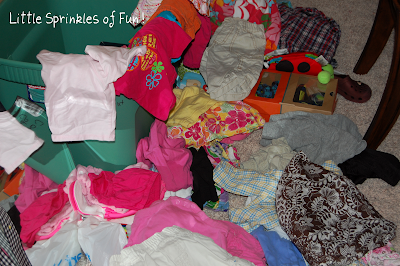 We started consigning kids clothes last year with Rhea Lana Kids Consignment Sales. We have loved each sale! In our area they have 2 spring sales. Their first spring sale was in early March. Their second sale is this coming weekend. Ok...I ended up staying up until 2:00 am last time pricing and tagging items! I was determined that I would NOT do that this time! However, here it is the day you can start dropping off your stuff ...and guess WHAT?!?!? Very little on hangers....very little tagged...and NOTHING put into the computer! UGH!!! WHY, OH WHY, DO I DO THIS?!?!? !